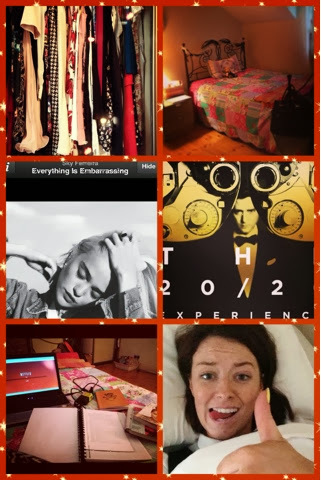 All day, listened to JT's new album -AMAZING- tidied my room and read a bit! Ok enough of my pointless blurb and on to the clothes. The outfit I wore Friday is one of my favorite things I own. I love anything colourful, flowery, fun and girlie. The crazier the better-sometimes! 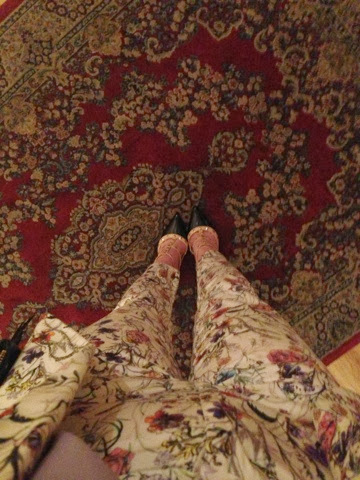 This is a floral suit I bought on ASOS, I originally just bought the trousers and a couple of months later I bit the bullet and got the blazer, I love this suit because they look great worn together but are also so transitional with other outfits. 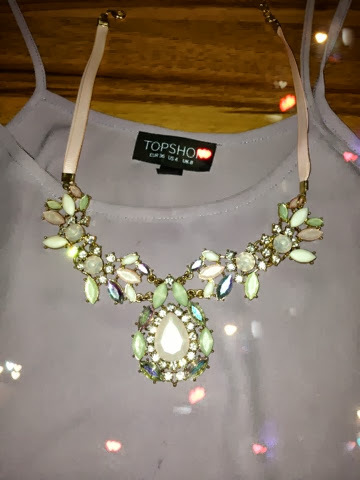 I wore it with a lilac crop cami from topshop, my Rockstuds and a pastel necklace I got in Dorothy Perkins. I kept my hair minimal because the outfit was enough on it's own! I also wore a black feather clutch bag which slightly toughened up the outfit. Saturday I wore three outfits.. Yes, you heard right, three. I like to make the most of my days off. My family think I'm actually crazy. So outfit number 1, was a quick choice to run a few jobs in town! 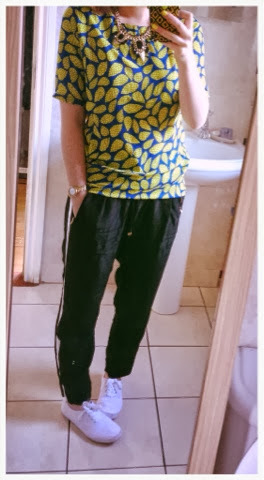 I wore utility style trousers from penneys, these look very cool with heels and are soo comfy. I also wore a green and blue tshirt I bought on eBay for €5, I have it in pink too they were so cheap but they really brighten up any outfit. 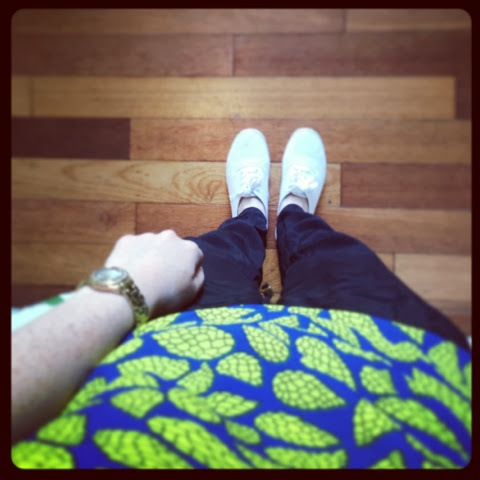 I wore €3 runners from penneys also, I'm currently on the hunt for the perfect pair if cool trainers I can wear with any dressy outfit. And I threw on a chain so I fully looked like a prince of bel air reject! 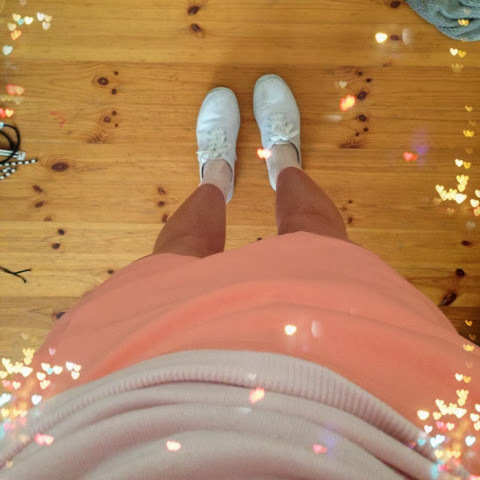 Looking like I came dressed up as Princess Peach. bought on eBay (where else). I pulled the top in the middle so it was more of a racer style neckline and put a cross belt around the waist because I felt the cut out looked weird on me! I wore it with black strappy sandals. Is just a miracle worker isn't it? Ha I wish that was me! Sorry I actually don't have any pictures from the night i know very bad, I would take one now but I have been in pjs most of the day and don't want to scare you this late at night with no make up! Here's a wee collage of my day today! 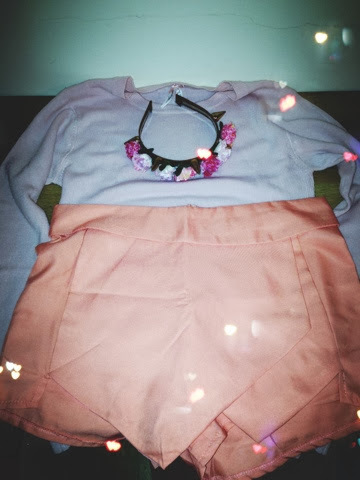 Love your lilac top! Its soo pretty! I wish I could take pictures as lovely as yours!